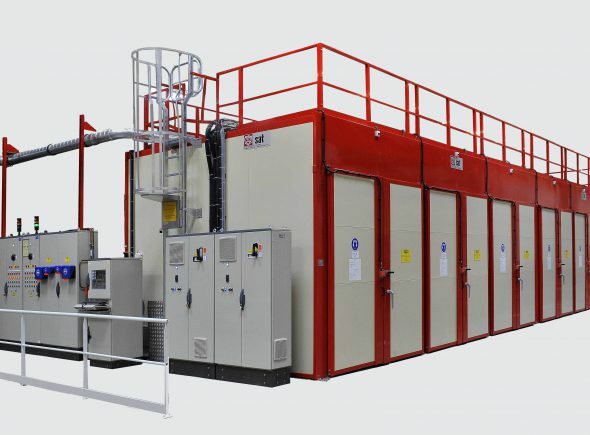 The leading French company for industrial heating equipment using forced hot air convection, SAT offers a range of standard or customized industrial ovens for use at temperatures up to 350 °C. Sturdy, reliable and accurate, their temperature uniformity can reach +/- 2 °C, whatever the volume. Careful insulation to limit thermal bridges. Air flow control enabling optimized heat exchange with your parts. Heating power sized for your application. Standard models from 200 litres to 13.5 m3 are available rapidly, and cover on their own a wide range of treatments (baking, drying, curing, relaxation, stabilization, pre-heating, post-vulcanization, thermoforming, drum heating, degassing, etc.). Our customized ovens and turnkey services are able to meet the requirements of the most demanding specifications and are designed according to your product and your process. The energy sources used are varied (electricity, gas, coolant, steam and fuel oil) in order to adapt to the energy network available in your workshops. 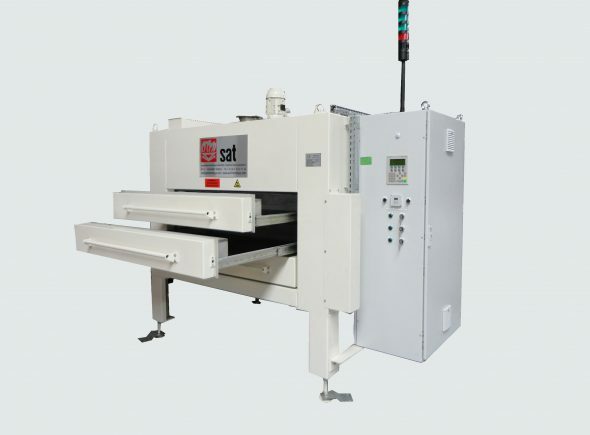 To meet your requirements, SAT uses its expertise to develop industrial ovens and furnaces which are user-friendly, safe, accurate and easy to use. 60 °C tyre test oven. 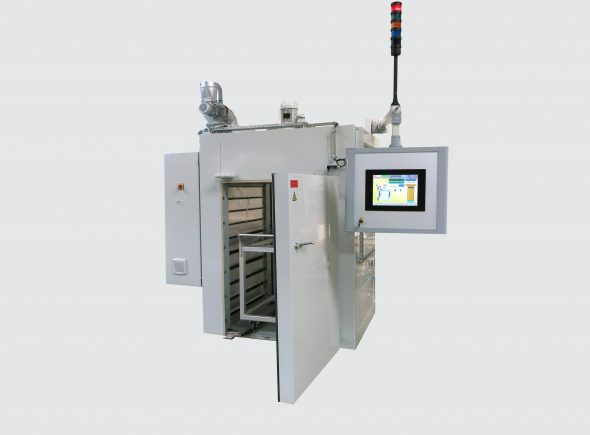 350 °C oven with PC supervision, touch screen, AMS 2750. Drawer-type oven, temperature 180 °C. 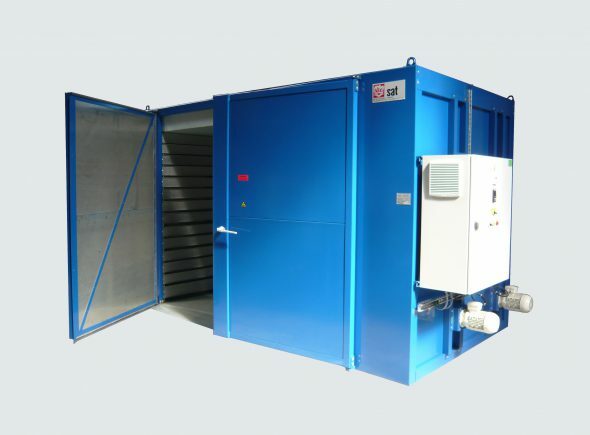 Paint curing oven, temperature 150 °C. 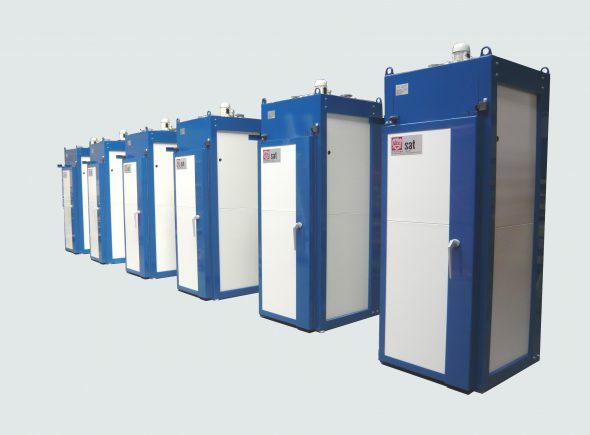 Post-washing filter drying ovens (nuclear sector), temperature 60 °C. Laboratory oven, tailor-made, mobile, equipped with shelves.